There’s a very good chance that you’ve heard about the wonderful things that yoga can do for you, mentally and physically. Yoga helps you strengthen and lengthen muscles, all while you find your inner zen. If you’d love to start a yoga journey from the comfort of your own home and on your own schedule, my Yoga Bootcamp is perfect for you! As a participant in the Online Yoga Bootcamp, you’ll receive an activity each day Monday through Friday as well as options for Saturday and Sunday activities. Some activities will be videos (minimum of two videos per week, often three), with sequences that will increase your knowledge of asana (yoga poses) and help you build strength. Some will be an MP3 guiding you through an exercise or teaching you mental tools to help you reduce stress and advance your yoga practice. 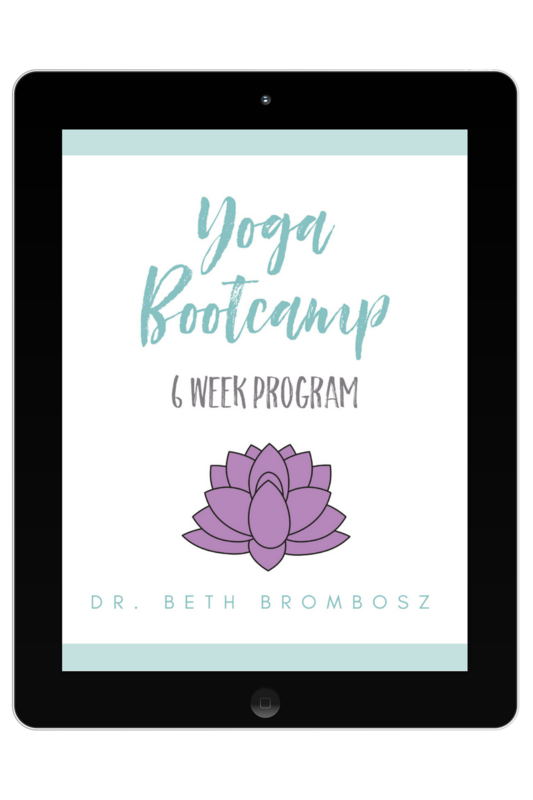 The six week Online Yoga Bootcamp will lead you through the basics of yoga, including modifications for different abilities. When you’ll sign up, you’ll receive a program guide containing a daily activity that helps you deepen your yoga understanding and ability. That's a savings of over 60%! YES, I WANT THE YOGA BOOTCAMP!